Pregnancy is a sensitive time, particularly in the first months. Pregnant women are therefore strongly advised to limit their use of medicines, as some of their effects are yet poorly known. 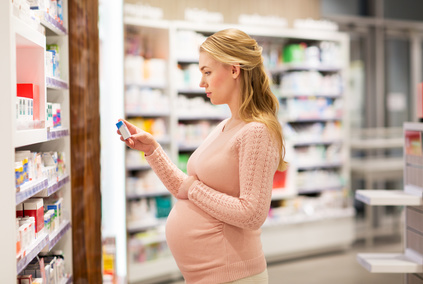 Nevertheless, a recent study conducted by Inserm researchers from Unit 1181 “Biostatistics, Biomathematics, Pharmacoepidemiology and Infectious Diseases”, reveals that pregnant French women are among the largest consumers of drugs worldwide with around ten medicines prescribed during pregnancy. A rate which remained stable throughout the period analyzed (2011-2014). In the 28,500 women studied, this research reveals that out of the recommended medications, the consumption of antianemia products greatly exceeded the actual prevalence of anemia (72.5% for around 25%). Between 2011 and 2014, the consumption of recommended vitamins (B9 and D) increased by 10% whereas the percentage of women receiving the influenza vaccine increased by only 1%. More worryingly, the exposure to medicines with fetotoxic effects (impairing fetal organ growth and function) and teratogenic effects (causing malformations), while being low, was still too high. This research was published in Pharmacoepidemiology and Drug Safety.